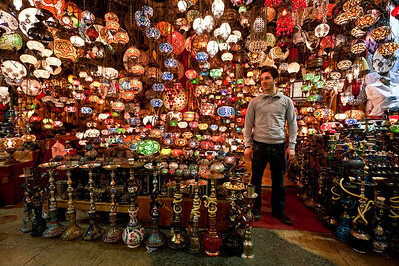 An antiques shop in Aleppo's Old Souq, Syria. 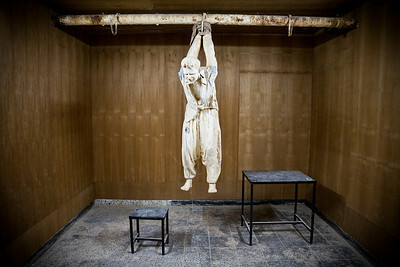 This photograph was the Syria-wide winner of Canon's "Celebrating My City" Middle East Photo Competition for 2010. The Deir Mar-Musa Christian Monastery located outside of Nebek, Syria. 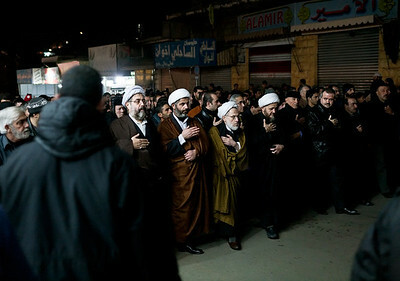 Hezbollah officials lead a march through the city of Nabatea in Southern Lebanon during the 2009 Arbaeen observances. Arbaeen commemorates the 40th day following the death of the Shia Imam Hussein during the Battle of Karbala which took place in 680 AD. 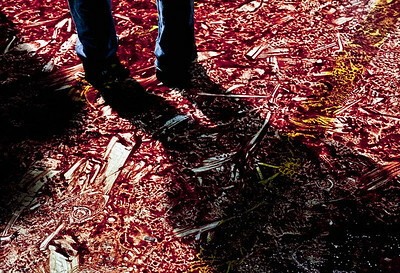 Blood stains left after the ma'tam ritual of the Arbaeen mourning observances during which some participants self-inflict injuries as a show of solidarity with the Imam Hussein. Taken in Nabatea, South Lebanon in 2009. 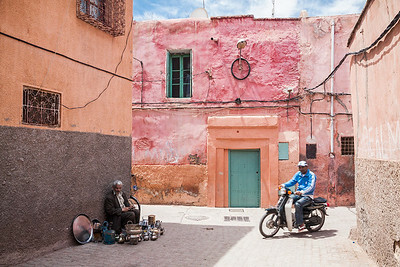 A street scene from Marrakesh, Morocco. A rare rainy summer day at Damascus' Umayyad Mosque. 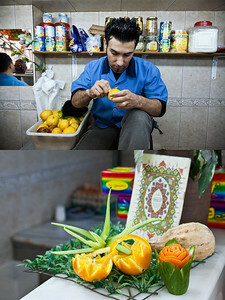 A small shop from the Bab Srijai market in Damascus, Syria. A colorful store in Istanbul's Grand Bazaar. 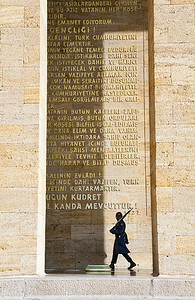 The changing of the guard at Attaturk's Mausoleum in Ankara, Turkey. 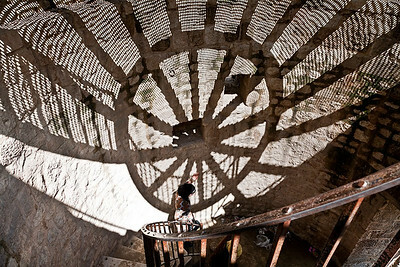 A woman descends the stairs at Aleppo's ancient citadel. A mother and son from a small bedouin tribe living in Wadi Rum, Jordan. 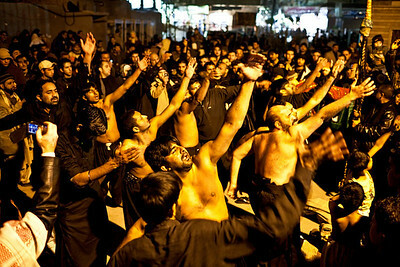 Pakistani Shia pilgrims participate in a ma'tam outside the Sayyida Zainab shrine in Syria during the month of Moharram, 2008. 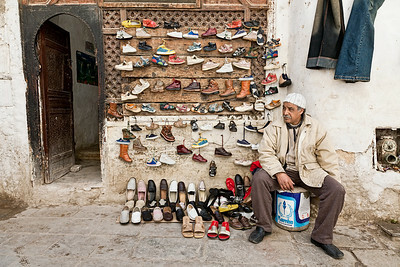 A shoe-seller's make-shift shop in Fes, Morocco. A villager poses with his soon-to-be-outlawed motorbike in Bait Sawa, Syria. 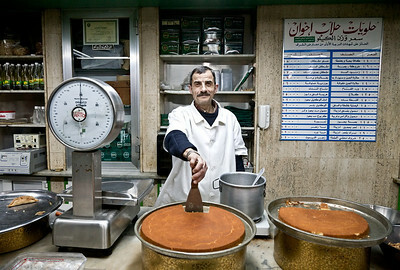 A sweet shop owner proudly poses with the delicacies at his store in Tripoli, Lebanon. 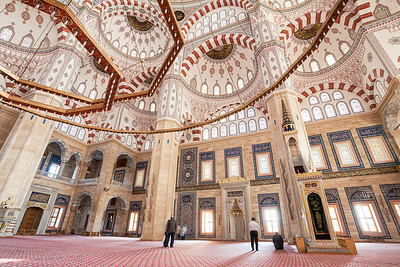 Interior of the Sabancı Merkez Camii, the largest mosque in Turkey, located in Adana. Interior of the Sheikh Zayed Mosque in Abu Dhabi, the United Arab Emirates.